Lotions with hemp seed oil contain essential fatty acids, they also provide a numerous amount of amino acids. These nutrients help the skin generate collagen and elastin. 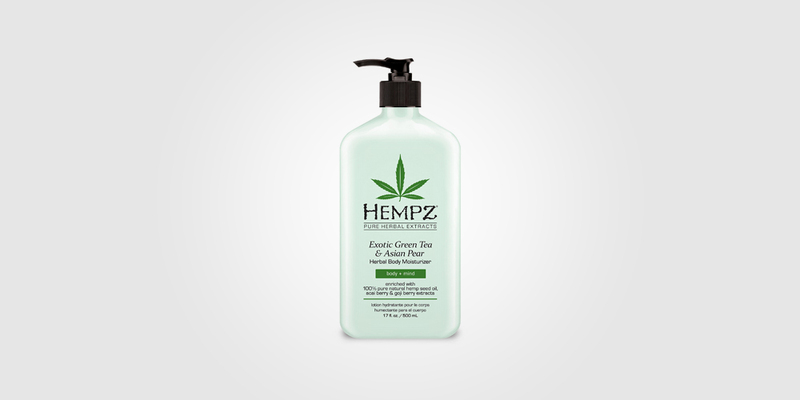 Hemp lotions also reduce redness in the face and age spots without all the painful expensive treatments. Hemp lotions provide much more than just soft and rejuvenated skin and here’s a few of the main benefits I see in using hemp lotion. Eczema and psoriasis are both uncomfortable, itchy and painful conditions. Hemp-oil based products have been known to help slow the process. It’s known to carry anti-inflammatory characteristics which help and calm irritated itchy skin. There is a large epidemic of people wanting to go organic and cruelty-free, but there’s actually a reason behind these decisions. Non-organic products tend to carry drying agent in them thus leaving skin itchy and dry. People tend to have allergic reactions to non-organic ingredients thus leaving blemishes, rashes and such. Also, natural ingredients tend to smell better, thus so will you. lotions that contain hemp seed oil have a large number of fatty acids as well as amino acids, these include omega 3 and omega 6 which strengthen your skins suppleness and aid it to maintain its normal functions and appearance. Consumers are actually saying hemp lotion works better on stretch marks than cocoa-butter, the smell is better and due to the essential fatty acids in the skin it improves the skin cells and reduces the appearance for stretch marks. due to the wide variety of vitamins and minerals in the lotion, they actually help counteract aging. Reduces wrinkle appearance, gets rid of lines, and dark spots leaving the skin much more flawless. Hemp lotion is made with all natural ingredients, leaving a much more refreshing smell. Hemp lotion is good on sunburns: Sunburns are extremely uncomfortable, and using that sticky aloe can also be quite uncomfortable. Hemp oil contains key fatty acids that help heal the skin while soothing at the same time. Hemp lotion is a great alternative to aloe and helps heal the burn quicker. I used cocoa butter for years with very limited results. I suffer from very bad stretch marks because I fluctuate weigh a lot. It wasn’t until last year that switched to hemp lotion and it solved all my problems. My skin would get extremely dry fast, my stretch marks were highly noticeable, and my skin was itchy. Now that I have switched it hemp the appearance of my stretch marks have subsided substantially, my skin is so soft and moisturized, I don’t suffer from itchy skin any longer because my skin stays hydrated all day long, and I love the smell of my hemp lotion.